If you wanted a bag of Doritos from one of Brad Appelhans' experimental vending machines, you'd have to wait. 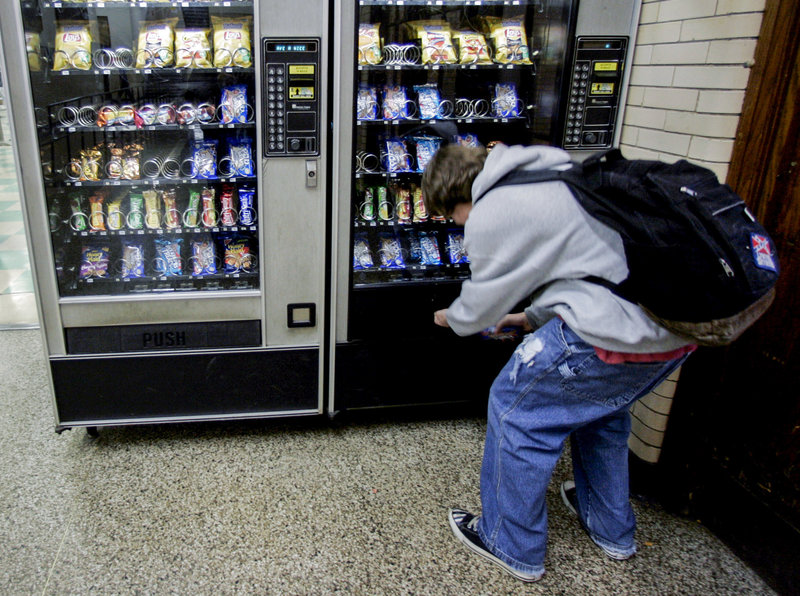 The device is a platform inserted inside a vending machine that catches snacks falling from the top half of the machine, where a vending machine operator would sort all of the unhealthy snacks. On the display window, a written decal tells customers they'll have to wait for an extra 25 seconds for less-healthy snacks. When a snack falls onto DISC, it triggers a 25-second countdown on the vending machine's display screen. At the end of the countdown, DISC drops its platform and the snack falls into the vending machine's bay. Healthier snacks are all sorted into the bottom half of the vending machine and so would bypass the platform altogether.